Seamless cloud-to-cloud integration brings Sumo Logic’s powerful threat detection and event management to your ServiceNow data. Reduce complexity and organize your data, helping you resolve incidents faster and boost IT productivity. 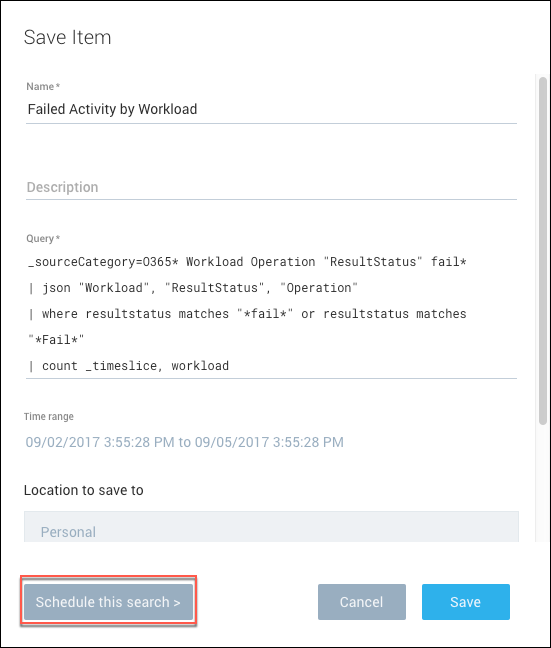 Use Sumo Logic’s LogReduce and anomaly detection to ward off threats before they impact your operation. 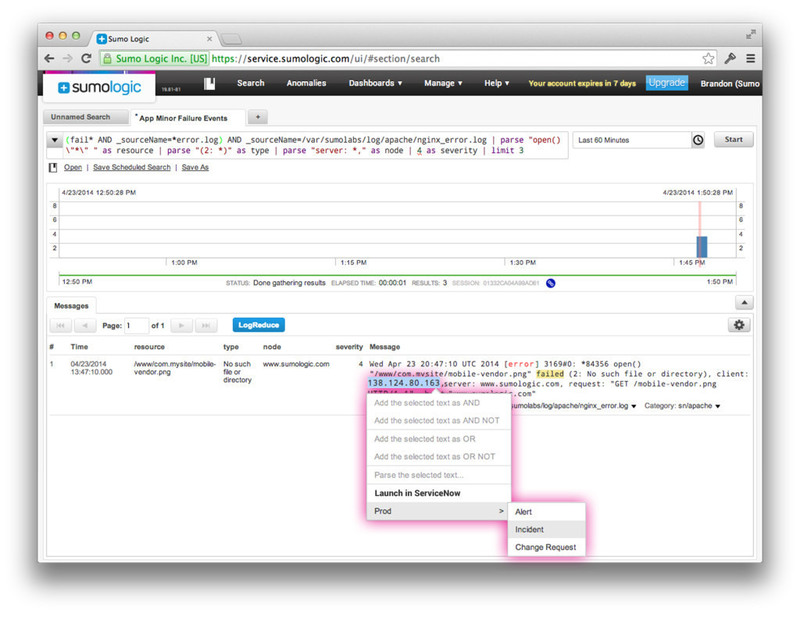 Create ServiceNow incidents based on Sumo Logic data, or launch Sumo directly from ServiceNow to examine events. Separate event detection and service management platforms, however effective they may be on their own, inevitably delay resolution and impact SLAs, customer satisfaction, and even revenue. Sumo Logic boosts productivity by eliminating the need to manage separate softwares by centralizing your ServiceNow log data, and it allows your IT teams to scale data analytics needs to meet service management requirements of your organization. Streamline event detection and incident management with consistent workflows and optimized service management processes. 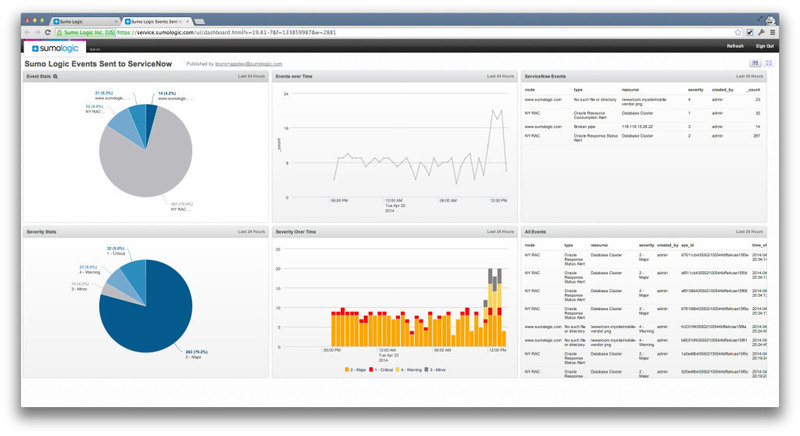 Proactively monitor business services and infrastructures in real-time for anomalous and known events. Automatically assign incidents to appropriate teams (and incorporate other event information as needed) with a unique bi-directional workflow. Add contextual information and annotations to streamline future event detection and improve response time. Improve security posture by organizing and understanding your data. Increase productivity and reduce costs associated with security and compliance, system downtime, and malfunctioning revenue-generating sources. Learn more about how Sumo Logic works. You can connect Sumo Logic to ServiceNow by configuring HTTP endpoints, which tell Sumo Logic where to send data. Sumo Logic does not limit the number of connections you can configure, so you can create as many connections as you need to meet your organization’s needs. Users can also set up scheduled searches, which are standard saved searches executed on a set schedule. Once the scheduled search is configured, the search will run on a set interval, making it easy to detect anomalies and patterns in your log data. The results of your scheduled search can be pushed directly to ServiceNow, helping your organization investigate issues as soon they arise. Read the Sumo Logic guides to setting up ServiceNow connections and creating scheduled searches for ServiceNow integration. Watch our demo video to see how scheduled searches and real-time data analysis from Sumo Logic can help your IT team make the most of ServiceNow log data.